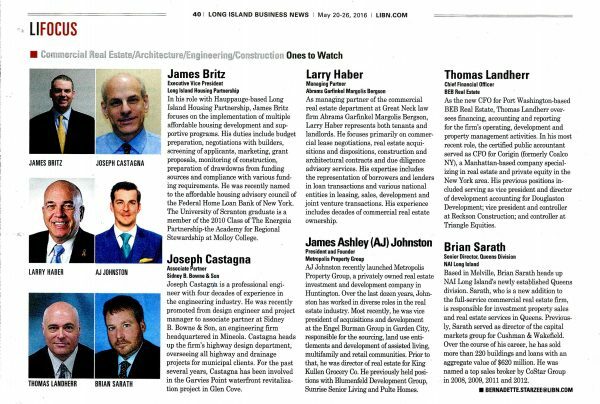 Abrams Garfinkel Margolis Bergson, LLP Partner Larry Haber was recently named to Long Island Business News‘ Commercial Real Estate/Architecture/Engineering/Construction Ones to Watch. Mr. Haber serves as the head of the firm’s commercial real estate department. To view the article, click the image below.